Preparations are underway at Maidenhead Aquatics for the launch of their annual Fishkeeper Fry project (now in its third year), starting early in January 2019, and applications are now open. 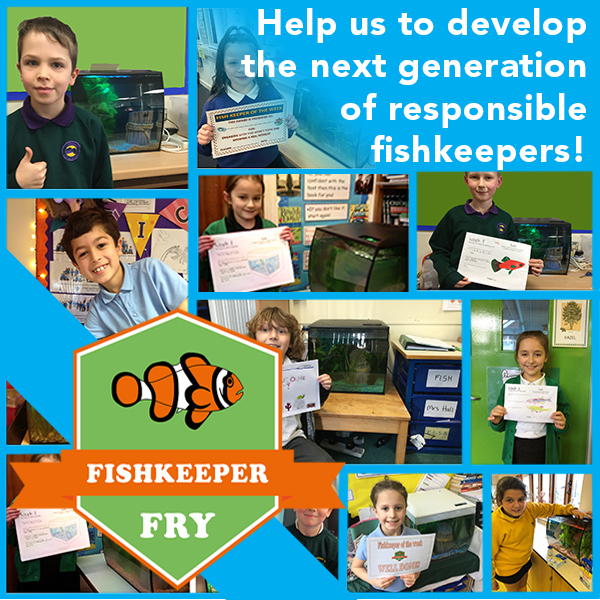 Fishkeeper Fry is a free, fun and engaging video-led educational programme designed by a team of fishkeeping experts at Maidenhead Aquatics specifically for primary school children, aged 7-8 years to help develop the next generation of responsible fishkeepers. Not only does this programme provide a great way to get children interested in a fascinating hobby from an early age and provide a great enhancement to traditional science curriculum lessons, but it also offers a range of other benefits to the wider learning experience in the form of mood enhancement and a means of encouraging relaxation in children. Selected schools have access to a series of short instructional films created just for them by Maidenhead Aquatics’ in-house film production team, along with all the equipment they need to follow along with the films provided completely free of charge (courtesy of Maidenhead Aquatics and their partners Hagen and Tetra) so that they can learn hands-on how to set up an aquarium and look after their fish well - hopefully inspiring them to become our responsible fishkeepers of the future. Participating schools are allocated a local Maidenhead Aquatics store for the duration of the programme who are available to provide expert day-to-day advice and support for them during the programme and ongoing. Classes who are selected to take part are simply asked to share their experience with the marketing team at Maidenhead Aquatics as they go on their journey of discovery, in the form of journals, artwork and photos that we can use to share with our social and website audiences. At the end of the 8-week programme, schools have the option of keeping their aquarium on school premises, providing them with ongoing educational value from this experience once the programme has finished. In addition, they continue to benefit from ongoing support from the expert fishkeepers at their local Maidenhead Aquatics stores to support help with upkeep and maintenance of their aquarium. Applications close on November 9, 2018 at which time we will select the schools who will participate in the 2019 programme and notify as to next steps.